Our strategy going forward will be to focus on Well-Being which will better recognise that well-being initiatives are different to traditional safety interventions and in support of the Government initiative introducing legislation to put mental health and physical first aid on an equal footing through First Aid regulations, we will continue to train our employees in Mental Health First Aid. Strong support as mental health first aid in the workplace debated in Parliament. 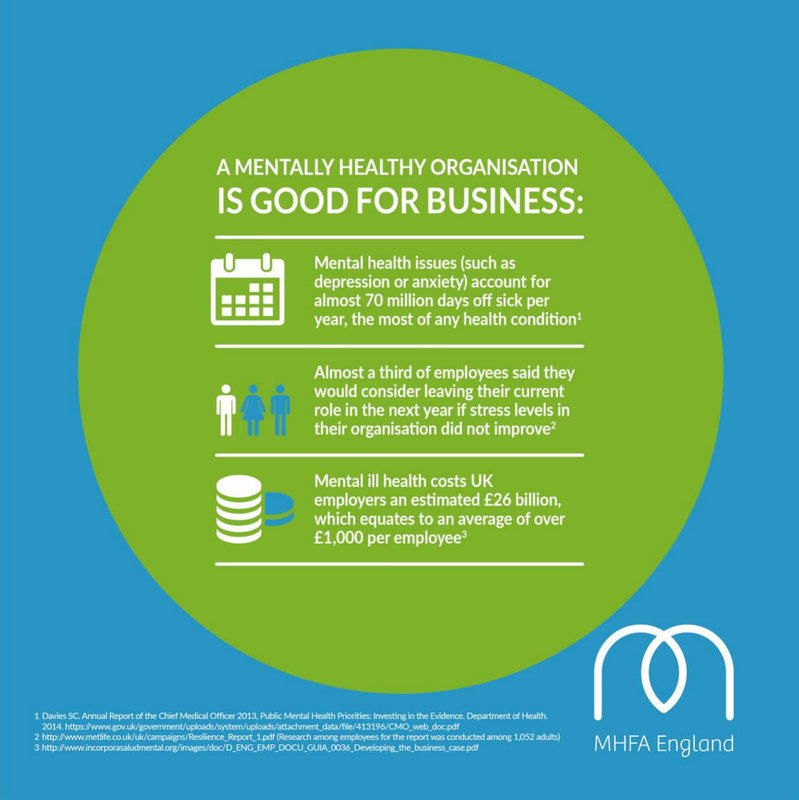 Mental ill health costs UK employers £34.9 billion each year. 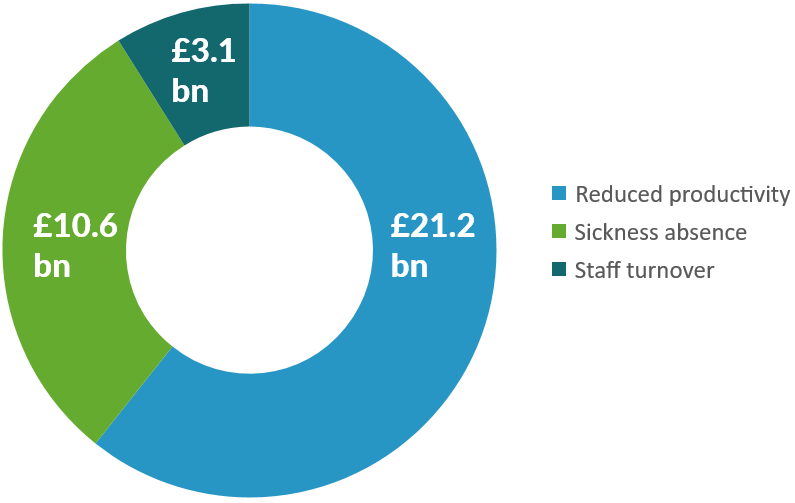 Diagram adapted from Centre for Mental Health, 2017: Mental health at work: The business costs ten years on. 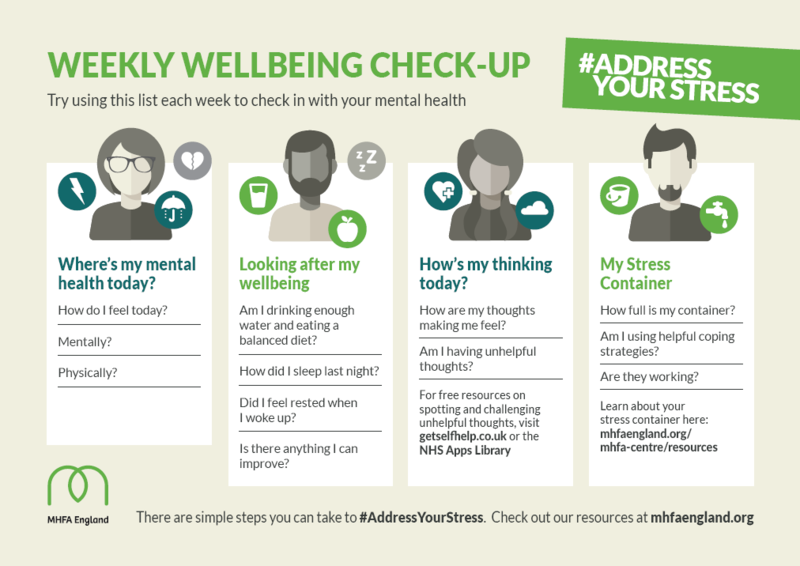 The Centre for Mental Health has found that mental ill health costs UK employers an estimated £34.9 billion each year - the equivalent of £1,300 for every employee in the UK workforce. Broken down, that's £10.6 billion in sickness absence, £21.2 billion in reduced productivity, and £3.1 billion in replacing staff who leave their jobs for mental health-related reasons. According to the Centre for Mental Health, simple steps to improve the management of mental health in the workplace will allow employers to save 30% or more of these costs – at least £10 billion a year. This is where we can help.